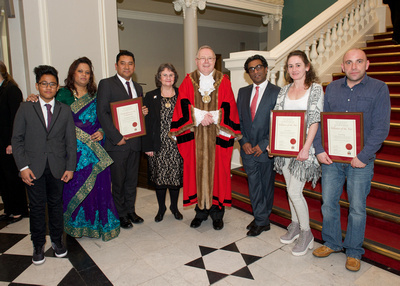 On 6th March 2015 at Woolwich Town Hall, Fatta Thapa, CEO of Skills & Care wins Civic Award 2015 for his outstanding contribution to Social, Economic and Physical well-being of Royal Borough of Greenwich; in particular Nepalese community in the Borough. The award was presented jointly by the borough Mayor Councillor Mick Hayes and Council Cabinet leader Denise Hyland and the programme was run by Chief Executive John Cumber. 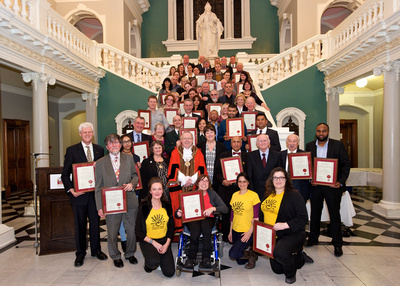 Among the other award winners were Zoe Smith, the Commonwealth & Olympian games in Weightlifting and Pierre Lefevre, managing director of Phoenix Wings, who innovated first Driverless Car in Greenwich.